There's something brilliantly old-fashioned about a formal dining room, conjuring up nostalgic images of Downton-esque soirees and family feasts. 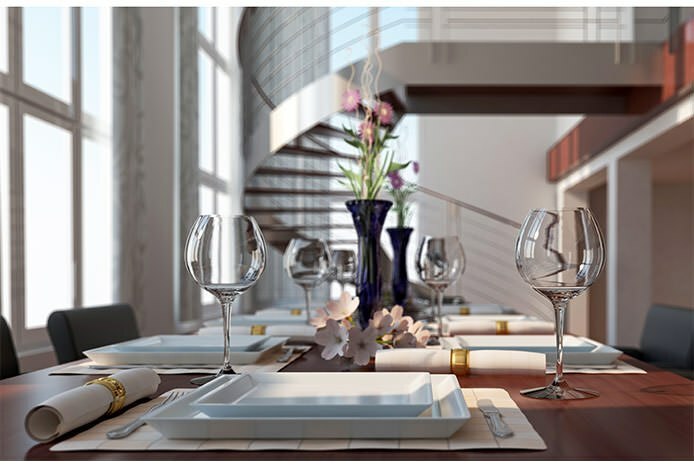 Yet it can also be quite intimidating; if you’re going to the trouble of inviting guests over for a formal dinner, the pressure is on to create a dining room which is fit for the occasion. We don’t all have space for an extra large table, so cheat by investing in an extendable design. When your dining room is out of action or you're enjoying a romantic meal for two, keep it neat, small and compact to make the most of the extra space in the room. Then when you have guests just extend it to accommodate a few extra seats, allowing all present to enjoy the cosy atmosphere. 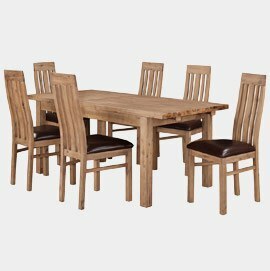 Whilst the table is the focal point of your dining room, chairs play an equally important role and should not be overlooked. Once covered by tablecloths, loaded with platters of food and surrounded by chatter, tables can blend in somewhat. Chairs on the other hand are constantly under scrutiny, especially when sat upon for multiple courses and extended lengths of time. Of course they need to be comfortable and suited to the room’s décor style, but why not turn them into a design feature in and of themselves? 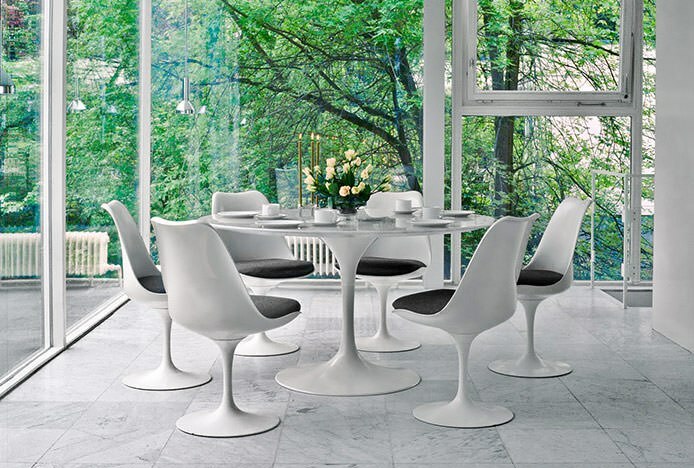 Add a retro vibe to your dining room with funky Z-shaped chairs or rounded seats. 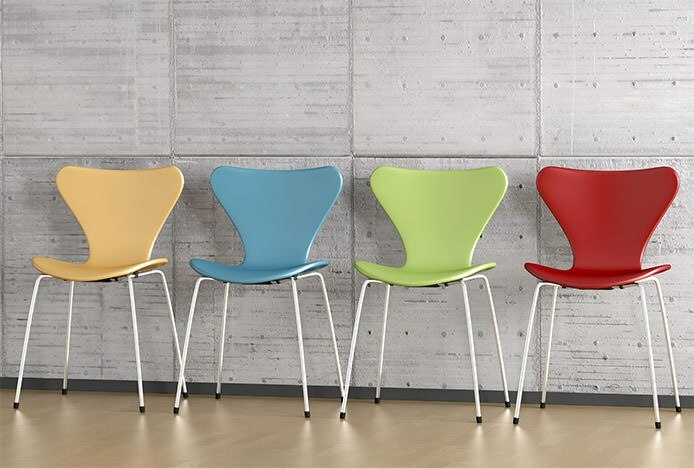 Or why not add some colour to a set of plain wooden chairs with some bright cushions, or by painting them the same shade as your dining room walls. 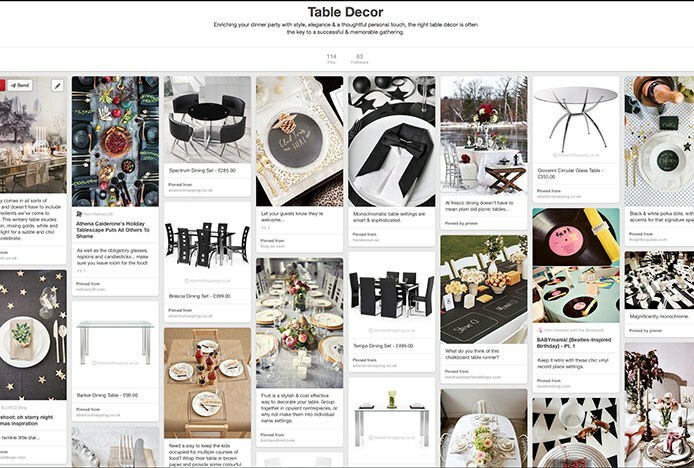 Opt for high backed designs for an instant shot of vintage glamour. You could even mix and match a few different styles for a chic eclectic look. 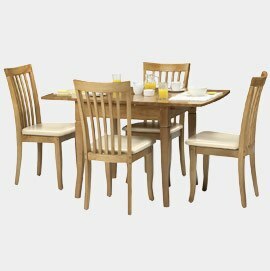 You never know when a small gathering is going to turn into a full blown dinner party, so it’s worth keeping a couple of extra dining chairs on standby just in case. Arrange them flat against the wall when not in use and keep them clear of clutter, ensuring they add to the formal look of the room. Or you could even invest in some stackable designs like the Candy, a great option for compact storage. Art doesn’t have to be expensive, nor does it have to be conventional. Or instead of a statement painting, why not hang a elegant framed mirror on the wall. For a vintage look, rub some household bleach or paint stripper over an old mirror to achieve a stylish burnished look. If your artwork is on the small side, make a feature of it by framing three or four small paintings or prints and hanging them together. 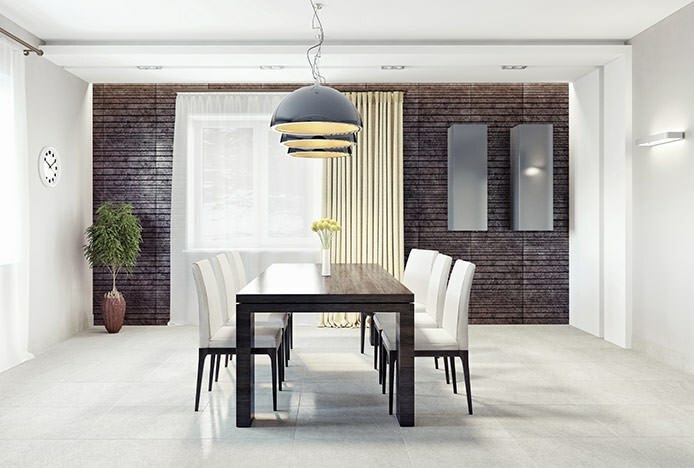 The lighting in your dining room should be soft and ambient. That means no strip lights, no spotlights, and no fluorescent or neon decor. 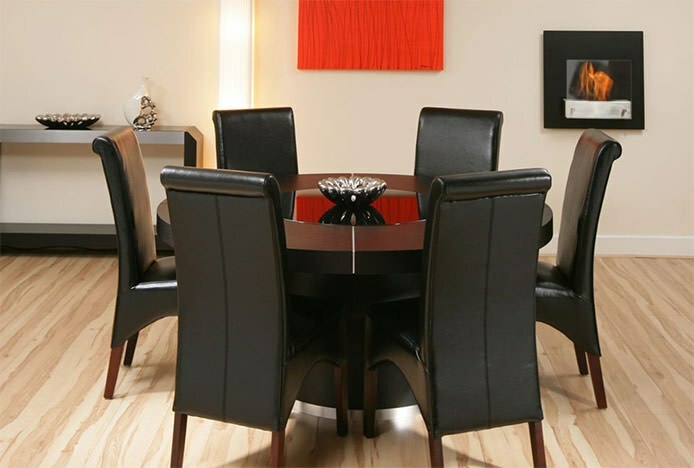 You want to create an atmosphere that is relaxed and inviting, showing off your dining room at its best. There’s a huge range of lighting available these days, so it’s worth shopping around until you find the right piece. Uplighting against the walls creates a romantic ambiance, while scattered floor lamps allow you to control the brightness of the room. Recently, low-hanging pendant lighting has become more popular. Why not experiment with cable length and dare to bring your pendant light right down to the table-top for a dramatic and contemporary look. In a formal dining room, you can get away with some stylishly mismatched furniture or an eclectic mix of art and mirrors. But when it comes to the finishing touches, you can’t afford to scrimp. Invest in a good set of matching cutlery, and keep it separate from your everyday collection. The same goes for your glassware – whether you go for simplicity, cut glass or trendy coloured stems, make sure every piece matches. Your guests will notice these little details, and when you’re not entertaining you can make a feature of pretty glassware in a glass cabinet or open shelving. Finally, for an extra flourish, add a centrepiece to the middle of the table. Flowers, fruit, or something crafty and handmade – it doesn’t matter. 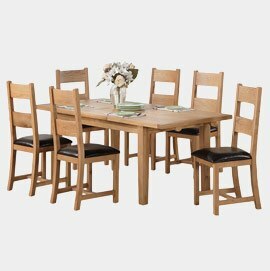 The centrepiece will tie the whole table together and add a sense of purpose and style to any dinner party. Get the eclectic look in your home by mixing and matching your dining chairs..
Our quick and simple guide to creating a successful seating plan for your venue..